I’m sure that’s what the problem is! 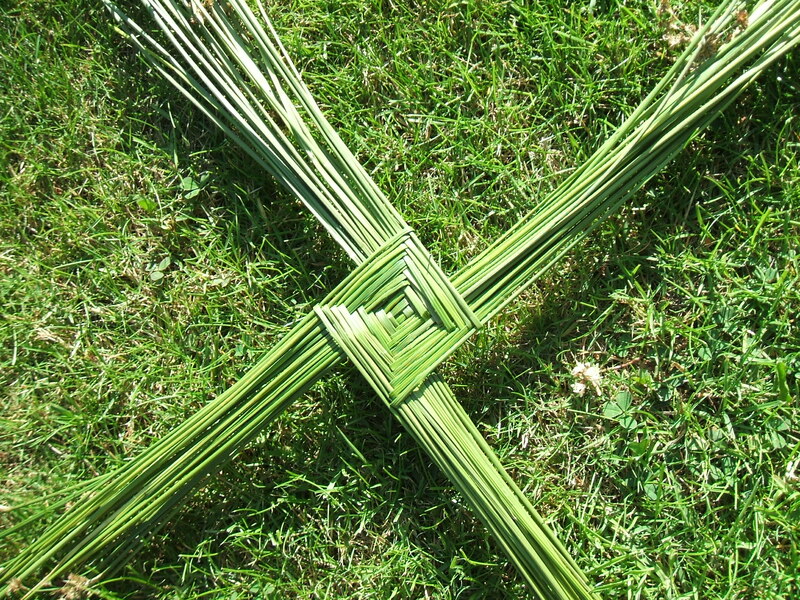 We have been back in Ireland for a week, (hurray!) 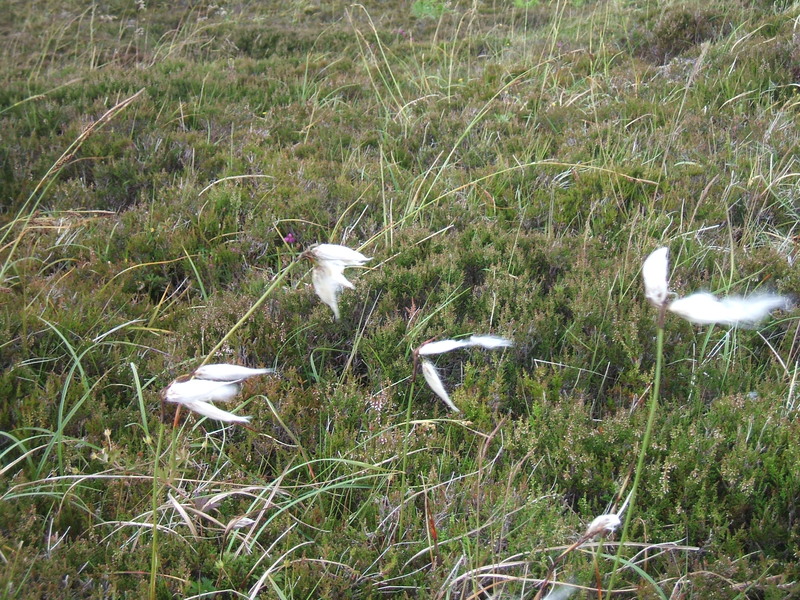 but as I’ve not said much in a while I seem like a big slacker…so first thing on the list to talk about..Bog cotton. At least, that’s what we’ve always called it. 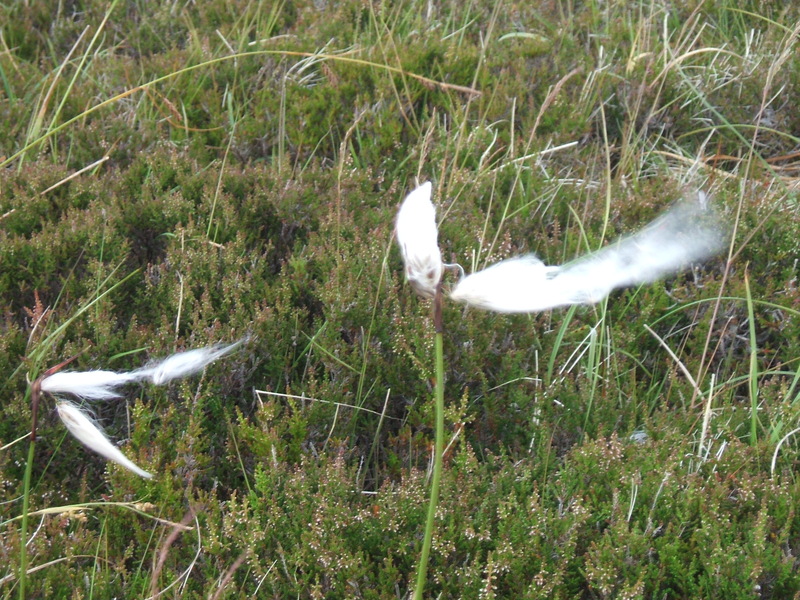 I’ve no idea if it is actually related to the cotton family (I can feel a wikipedia search coming on), it grows extensively around the marshy ground in the North East of Ireland, and (not surprisingly), I found it on boggy ground on the west coast too. 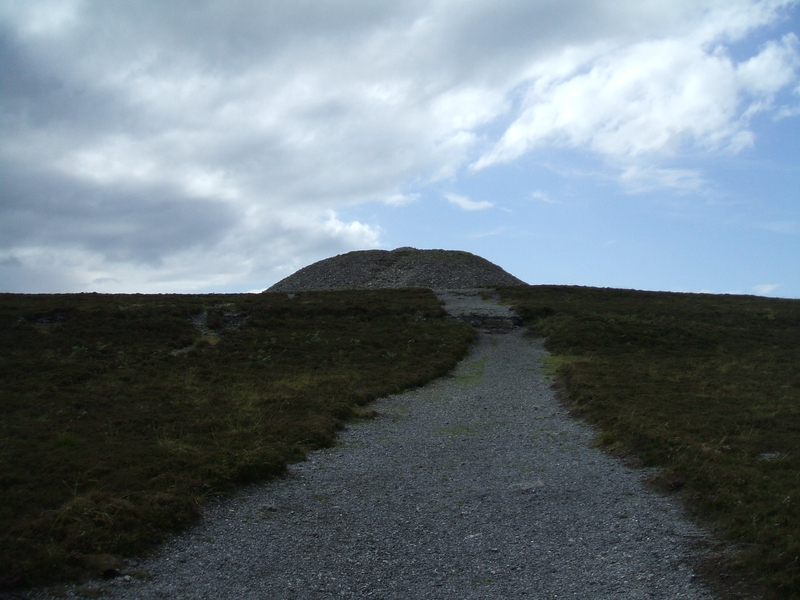 This particular clump was right at the top of Knocknarea, beside Queen Maeve’s tomb. 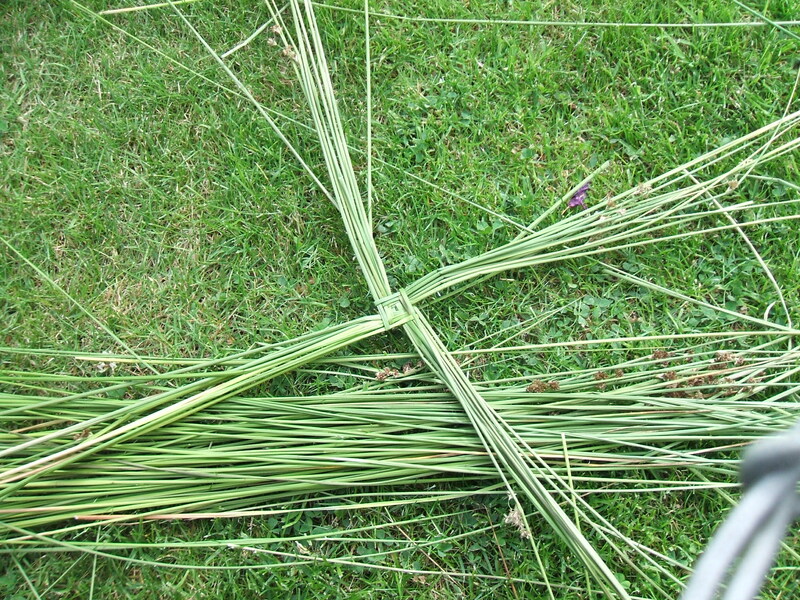 I picked some of it to see if I can incorporate it into a weave. 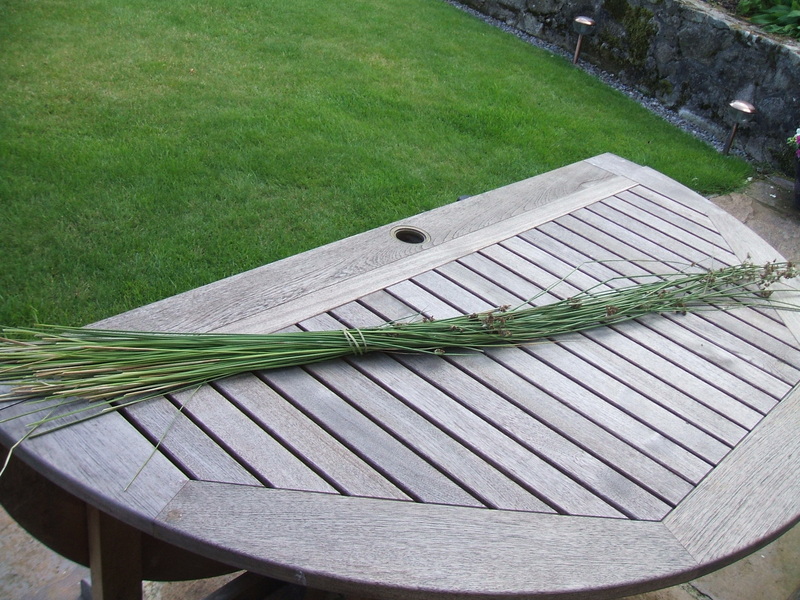 The other thing I got up to was collecting reeds. 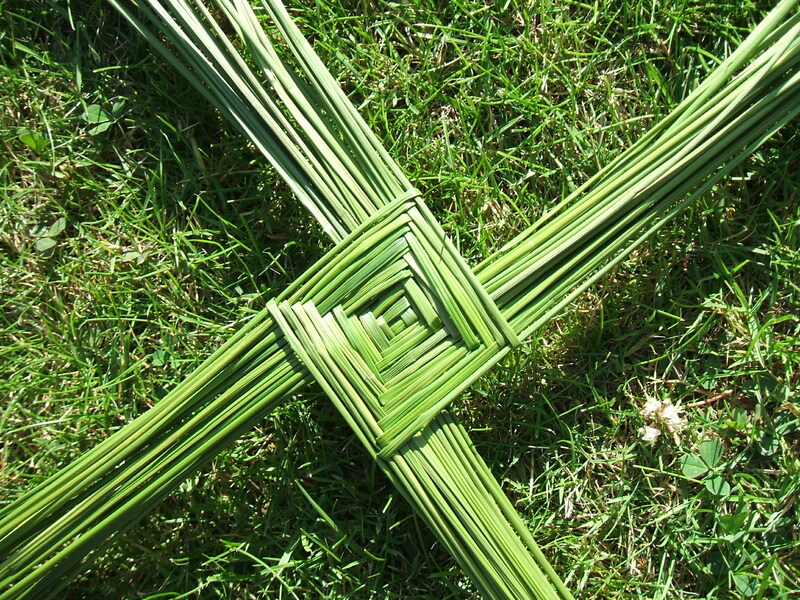 These are even more prolific than bog cotton, and I usually collect these for making Saint Brigit’s Crosses. 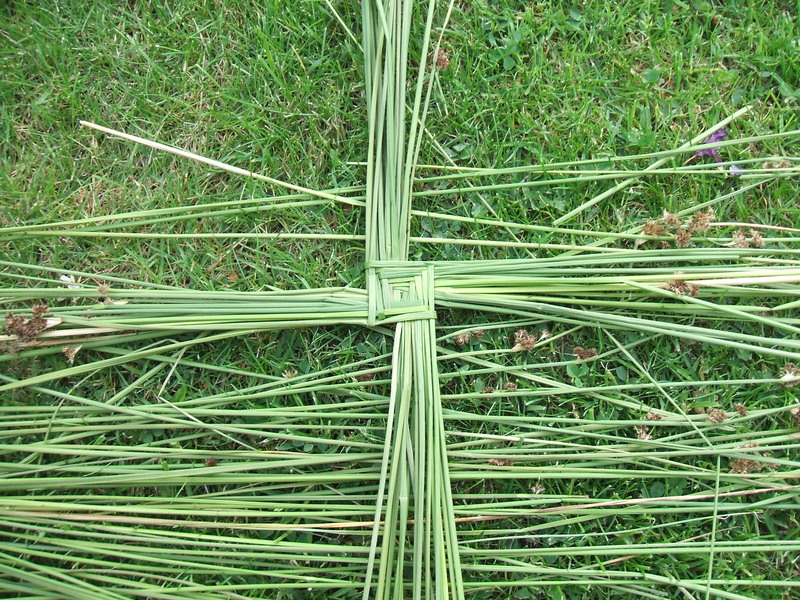 As I wasn’t going to be doing any loom weaving when I was home, I decided I could make some crosses. We collected a lot around the bottom of Knocknarea, Ben Bulben and Lisadell forrest. 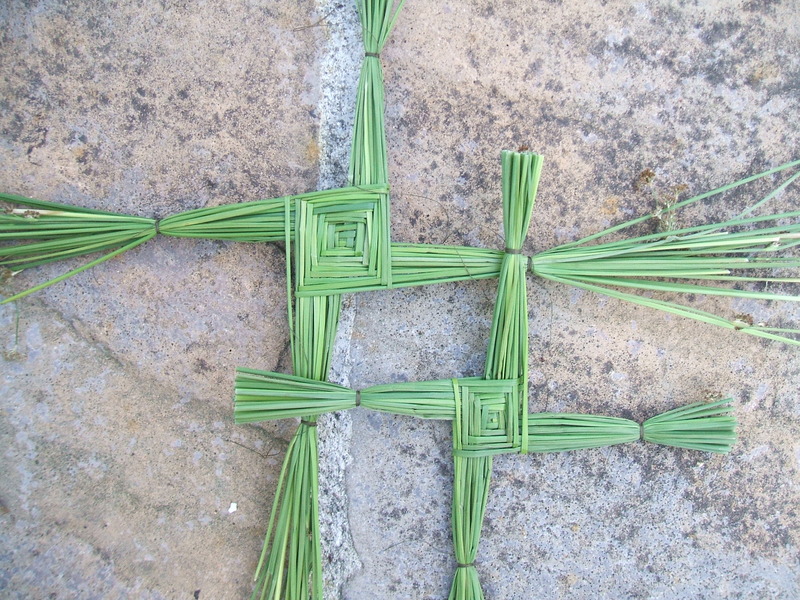 and I got to making them on sunny afternoon in my parents’ garden. 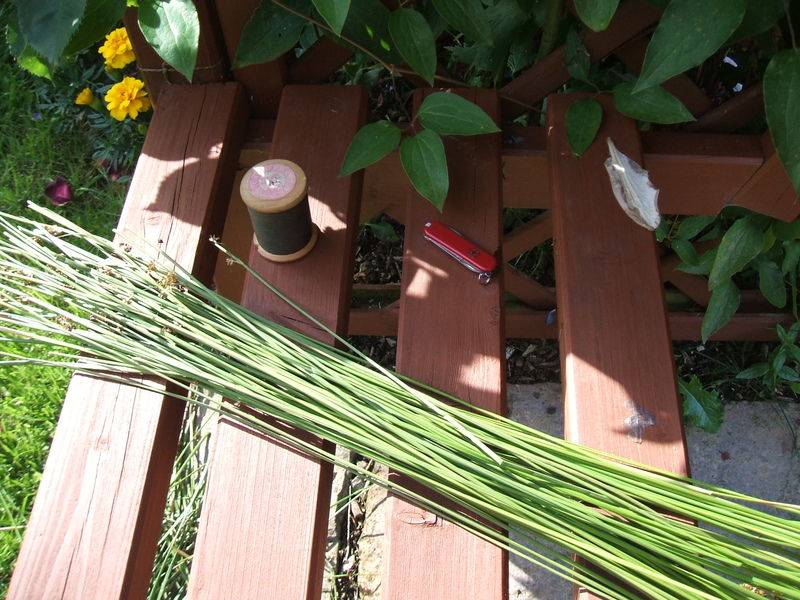 To get started, you need a lot of reeds (or rushes), some strong thread (I have an old spool of waxed linen thread that could slice your finger off if you were silly enough to try and break it by hand), and my lovely little swiss army knife – for cutting reeds and thread. 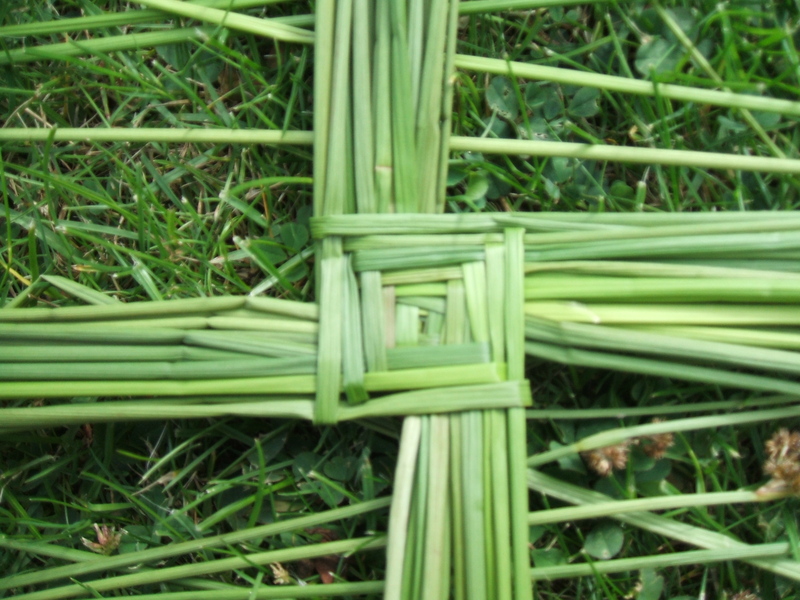 Overall, I made 2 crosses (with lots of wastage!). 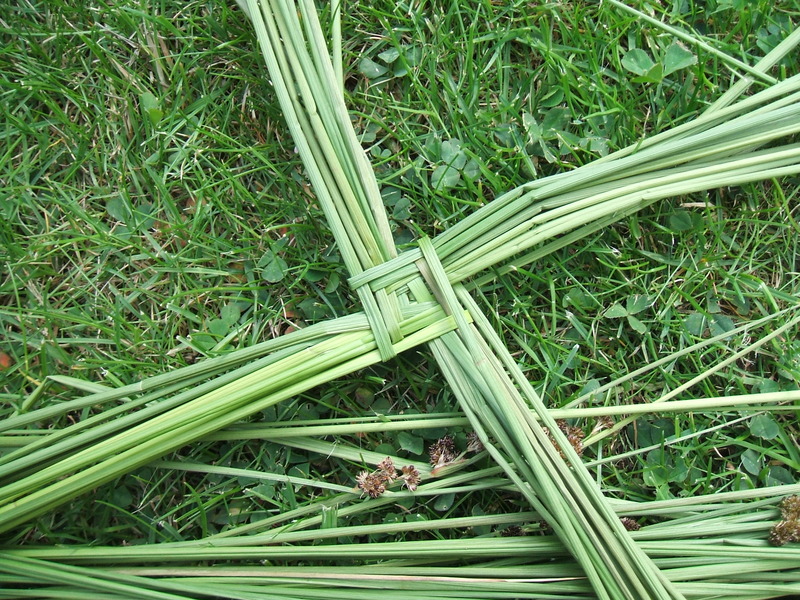 The reeds were very long but not very thick, and thicker is better when it comes to making Saint Brigit’s Crosses. 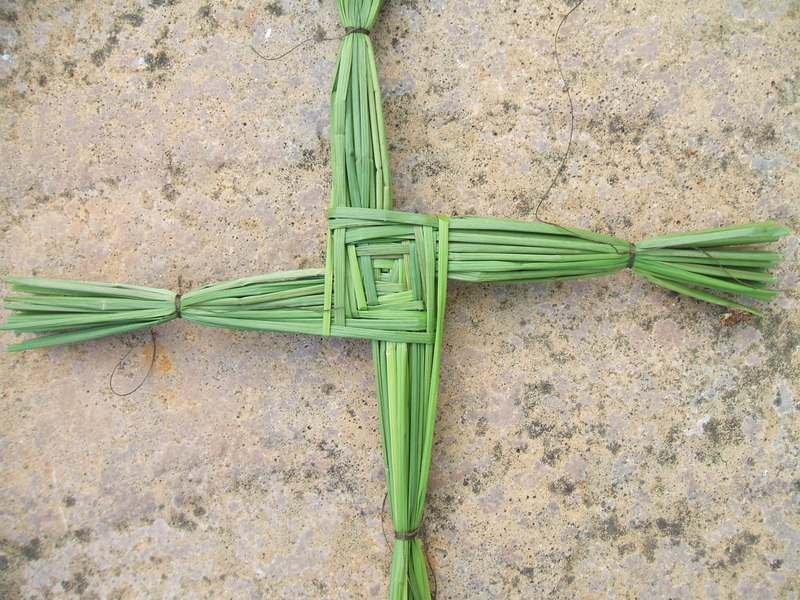 Anyway – I hope to be able to make some of these in January / February to put on Etsy.